There’s an interesting story making the rounds about yet another Facebook mishap. To me it’s one of those situation that, if people take adult attitudes, might end up being a good thing. If childish behavior is in play instead then there is the damage to all parties involved. I’ll cover the basics and then talk about the adult solution and the childish one. A self-proclaimed muslim customer asked an ice cream manufacturer in Wyoming if they used pork in their gelatin. The idea being that as a muslim he couldn’t eat their ice cream if this was the case. The CEO of the company responded glibly that they didn’t deliver outside of Wyoming and certainly not Pakistan. The customer is from Wyoming. The internets then showed their displeasure flooding Yelp with one star reviews and the company Facebook page with negatives comments. The company then took down their Facebook page. The CEO has offered to resign. So, if we insist on behaving like children the company might suffer serious financial loss, the CEO will lose his job, and the customer gains some sense of vengeful satisfaction. On the other hand the CEO and company could invite the customer, his family, and friends out to the plant for a tour (they don’t use pork gelatin so no religious tenants are being violated). The company might even host a muslim appreciation day for all the muslims in the region. The company might gain a whole new customer base and a lot of muslims in the region might find an ice cream they love. Doesn’t the adult way sound better? Back in the heady days before I was blogging with WordPress I used Facebook to express my views and I wrote about the officer at the University of California Davis who pepper sprayed a group of protesting citizens. The case has now been settled with each of the students receiving about $30,000. The officer in question was fired some time ago. Here’s what I wrote originally. For me the worst is the knee jerk lie that they were surrounded and threatened. Why not say, “The officer made an error in judgment, we are going to give him a week without pay, ask him to apologize to the individuals effected, give our officers more training,” etc. I stand by that comment. The officer was way out of line. We have the right to peaceably assemble in the United States and the original claim that they were surrounded and in danger was a clear fabrication based on videos taken at the time. Now, it’s entirely possible that even if the campus police had acted in the way I describe above that there still would have been lawsuits and a firing. But, I like to think that we could have actually gotten something better than a bit of money and the unhealthy satisfaction of vengeance. Everyone involved might have learned a valuable lesson. Maybe the officer could have become friends with some of the students. I don’t know, the student’s might have gotten to know about the pressures police face every day if only everyone had gotten together and gotten over their hurt feelings and anger. I would say this to you. The next time somebody behaves in a way that makes you angry don’t respond back with anger. Try to be nice. There’s a limit to that of course. If they continue to bully then they deserve what they get. Our society, our politicians, our blog commenters fire off angry, hate-filled, vicious attacks against their opponents and we’re becoming a society that doesn’t look for resolution, we look for conflict. We want conflict, we thrive on conflict. This is not good for our country or our society. It’s not easy to be kind when someone says something vicious about you or lies to cover-up something they’ve done. It’s hard, I challenge you to face that challenge and overcome it. If the other person remains belligerent then stronger action may be required. Just hold off on that nasty reply and try some kindness instead. NASA released another deep field image of the night sky and it makes me ponder the difference between the religious view of an image like this and the scientific view. 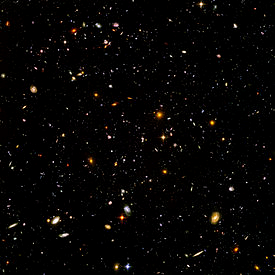 The picture shows a small section of the night sky, smaller than the size of the moon, and over five thousand galaxies. Each galaxy has potentially billions of stars although they vary greatly in size. My thinking today is about how a deeply religious person looks at this compared to the way I look at this and all the middle ground in between. When I see this picture, I see such vastness that it confirms my atheism. No one entity could simply create this amount of material at the snap of a finger or wave of a noodly appendage. I like to think of a field of grass and all the geology, biology, chemistry, and other elements involved in it. To engineer such a thing would be a massive undertaking. Then to extend that to an entire planet, solar system, galaxy, and billions of galaxies that make up the universe. This is beyond any one creator no matter how powerful. I can’t speak for religious thinking with any certainty but having spoken with religious people over the years they would likely take the opposite view. That such magnificence can’t be some coincidence. They would see a guiding hand that imagined, designed, and created this beauty. I’m not really trying to come to any conclusions today just thinking about things. The way our minds shape our view of the world around us. Two people can look at exactly the same thing and come to very different conclusions. I’m of the opinion that my brain is somehow, certainly not fundamentally, different from a religious person’s brain. We see the world and interact with the world in different ways. For me it’s not a matter of choosing to believe or not believe in god, it’s that I don’t, and I never will. I’ve been told that someday I’ll “see the light” and become profoundly religious. Honestly, I can’t imagine that ever happening. It requires a faith that my brain doesn’t understand. I see that picture and the thought that one creator entity made it all, every hydrogen atom, every chemical reaction, and I laugh. It’s impossible. My religious friends might say that people thought flying was impossible but we do it now. It’s a bad argument because we’ve seen birds and insects fly from long before we could, but the concept is relatively sound. Things that seem impossible yesterday are completely possible today. I just wonder if there is some genetic predisposition to religious thinking. Some gene-code sequence that makes a person more likely to be a faith-based thinker. I have no answers. When I speak with most of atheist friends we all generally agree that there is something different going on. I’ll give one example and then call it a blog. I have no answer. I don’t understand how you could look at something that is clearly false and choose to believe it anyway. I do think there are people more in the middle who don’t believe the bible, torah, quran tells literally true stories but they do believe in a higher power, noodly or not. I find it interesting. What do you think? I’ve noticed I’m still getting some hits on this story but fewer on my follow-up apology. For those who read this make sure to note the comments. I made a major mistake here and an alert reader spotted it for me. The link to my apology is below. Thanks! Congressman Paul Ryan, you disgust me. I’ll post the quote from this story. 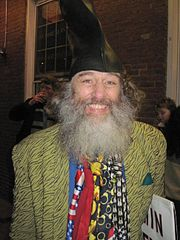 For those of us who would have voted in the primaries for, say, Ron Paul, why should we vote for you and not, say, libertarians or Vermin Supreme and the Pony Party or something like that? Paul Ryan thinks Libertarians like myself, people who respect the integrity of Congressman Paul, are comparable to people who think this man should be president. I’m going to clue in you Congressman Ryan. I’m Libertarian because I love my country. I’m a Libertarian because I believe in personal rights and limited government. I love the Constitution of the United States. I love the freedom on which the country grew and became strong. But to you I’m someone who votes for the Pony Party? Die Congressman Ryan. Seriously. Die and make this country a better place. Hang your head in shame. You miserable excuse for a human. How dare you? How dare you! In your disgusting desperation to win an election you stoop to claiming I think the United States of America is a joke? That elections are fun and games? That voting for Gary Johnson is equivalent to voting for a gag candidate? You know nothing of Libertarianism, of real conservatism. Nothing! I will never vote for you. Never! I hope no one votes for a disgusting piece of garbage like you. I hope you lose your seat in Congress. I hope your cronies refuse to give you a million dollar a year job after you lose the election. If you want to know why I’m a Libertarian Congressman Ryan, look in the mirror. You think I care if Obama wins compared to Romney? You’re a fool. I vote for Gary Johnson not to prevent Romney from winning but because I love my country. Would that everyone felt the same. Hey religious nut-job fanatics, I’ve got news for you. If you want to know why people hate your ridiculous religion don’t blame a stupid film, blame your fanatical reaction to the film. We hear again and again how “moderate” religious idiotic nut-jobs condemn their fanatical counterparts. I’ve got news for you “moderates”, you’re the problem also. When you preach the nonsense of the Quran or the Bible or the Torah you are inevitably going to engender murderous lunatics who will defend the nonsense to the death. They will strap bombs to their children. They will kill anyone, anytime, anywhere, for any reason. I’m tired of trying to be nice about it. I’m tired of looking at religious people who are nice, kind, generous, and my friends, and trying to figure out what part of religion is bad and what is good. It’s time to grow up. There is no god. Any sane look at the Quran, Bible, or Torah finds obvious inaccuracies. Read them word for word. You don’t need me to explain what parts are insane. Ok, read this nonsense and tell me I’m wrong. I’m not saying if we all become Atheists the violence will stop. People are prone to violence. They will find an excuse to commit violence. Let’s just give them one less excuse. Muslims, dear muslims. I hate you. I hate your worship. Christians, I hate you, less, but I hate you. Jews, I hate you also. Wiccans, go jump in a lake, I hate you. Sikhs, Pagans, Buddhists, yeah, I hate you also. Hindus, Chinese Folk religions, yeah, don’t feel left out, I hate you too. Scientologists and Mormons, oh yeah, I really hate you. Despite all this hate I’m not going to kill any of you. I’m not going to punch you in the face, I’m not even going to make a mean face behind your back, why? Because I’m rational, you sir/ma’am, are not. So take your stupid biblical quote football game banners, your moronic God hates Fags signs, your murderous bounties, and stop bothering me! Worship all you want. Teach your children there is a giant metal teapot in the sky that boils over and makes rain. I don’t care. Just leave me out of it. Do it in your house, in your pretend church to your pretend god. Take it out of the streets my taxpayer dollars built, take it out of the stadiums my taxpayer dollars built. Out of the schools my ridiculous property taxes built. You sicken me, yep, even you so-called moderates. I’m sure I’m over-reacting but really, seriously, do you see what is happening in this world? The United States House of Representatives adjourned on Friday after putting in twelve hard days of work during the quarter compromising August – October. This seems unusually low but let’s take a critical look at the situation before we condemn them to the depth of my ridicule. This range of time is the election period for the House whose members all face campaigns. It is traditionally the shortest working frame of the year because of this. 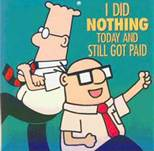 The representatives plan to spend 109 days this year at work. This is three days less than the average amount spent since 1990. Republicans defend this record saying that Democratic controlled houses worked relatively similar amounts of time in election years. As my mother would say, if all the kids jumped off a cliff …. The reality is that in election years our representatives usually work a few more days than they did this year but it’s not completely out of line with recent historical reality. Back in the days before air conditioning they often took most of the hot summer months off. I think a better judge of a how much work was done is how much legislation passed and particularly if important legislation was left on the table. This Congress is a loser in both regards. Both sides blame each other for the stalemate because all their “good” ideas are not voted on by their counterparts. I’ll tell you what really happened. The Senate has a Democrat majority and the House has a Republican majority. Both pass legislation which they know their counterparts will fail to pass. Stalemate. It is difficult to ignore the clearly stated mission of Republicans that they consider their most important goal to be defeating President Obama in 2012. With a goal like that it becomes difficult to believe the lip-service they give to trying to strengthen the economy. This is particularly true looking at the abysmal record in passing legislation the last two years. The House of Representatives has had time to vote on legislation designed to defeat Obama including health care repeal over thirty times. Vice Presidential Candidate Congressman Paul Ryan rushed back recently to vote for a resolution on waiving work requirements for welfare recipients. It’s an interesting situation on its own as the waiver was requested largely by state governors, many of them Republican, and authorized by Obama. My point isn’t about the legislation, it’s about how much time was spent on issues that catch the eye of voters and how little time was spent on issues that are important to the well-being of the United States. This is the problem, and it is not simply a Republican problem. The attitude of our Representatives is that getting elected is more important than legislating. That obstructing their foe is more important than passing useful legislation. We live in a world of non-stop campaigning that carries on far past the election and to the actual legislative process. It has corrupted everything and everyone. Here’s the important lesson to take from all of this. Only you can change it. If you continue to vote for Democrats or Republicans you will continue to get legislators who care only for getting elected. If we start voting for Independents, Libertarians, Constitutionalist, Green party, None of the Above, or whatever, things might change. Not before. Why would the House of Representatives risk taking on the huge fiscal problems the United States faces if it will cost them votes? Why look at bills designed to fix the farm situation? Why do anything? If people don’t care, then representatives don’t care. They can spout platitudes, attack their counterparts on the other side, lie and lie and lie, then eat a fancy dinner at the lobbyists expense and laugh at the electorate. If they lose they get a fancy job as a lobbyist, if they win they stay on the gravy train. The only losers are us. And we keep voting to lose. There was an interesting article on Yahoo this morning and, as is often the case, the comment section was in many ways more thought-provoking than the story. The gist of the article was that mice who were isolated from other mice or a stimulating environment showed significant brain abnormality as compared to mice who were not isolate or given an exciting environment. The main point being that early infancy is a vital time for children and that physical brain growth is altered by the environment in which the child resides. What I found very interesting is that most of the comments focused on the idea that being alone is not bad at all. I’m someone who does not care to spend much time with other people but I think this is not at all what the study indicated. I wouldn’t mind seeing a study of adults who are isolated and the physical effect on their brains but I strongly suspect that the issue here is the growing brain of children. I don’t want to get too far afield here but I’m always shocked by the number of people who either read the headline and not the article and come to an erroneous conclusion or those who actually read the article and apparently do not comprehend anything that it said. Time and again I see earnest commenters, not those crazy-fun trolls, who have completely misunderstood what they are commenting about. Even in everyday conversation people just don’t make the effort to understand what the other person is saying. That’s really about it. The article was very interesting but not unpredictable. The comments generally completely off base because of the lack of reading skills or the lack of reading comprehension. Nothing new to report. Take the time to understand what you read, what other people say, and react accordingly. Not a shocking conclusion. P.S. I haven’t been doing many blog posts lately because I’ve been writing the rough draft on my fourth novel, The Sword of Water. I’ve written 50,000 words in the last two weeks. You can join Good Reads and check out my Q&A Group if you want to keep up with my progress. P.P.S. I’m eventually going to be posting about the recent violence in the Arab world but I want to think about it a bit first. It’s an extremely relevant topic and I think deserves some serious thought before I start reacting to events. I read a fascinating article at Yahoo yesterday about a woman named Erica Ebbel Angle who has a television show aimed at promoting science to Middle School students. Oh yeah, she’s also a graduate of MIT, has a Ph.D in Biochemistry, and has entered a few beauty pageants. The reason this seems to be causing an issue is that she is calling herself the Princess Scientist and some people think that this is a bad message for young girls. That being pretty is of equal importance to being smart. I don’t think that’s the message at all but some people are up-in-arms. The first thing I’d like to look at is the general pairing of pretty or athletic with stupid. Like most stereotypes it’s not completely unfair as many very athletic or very attractive people are not motivate to spend time on their education. Likewise it is completely unfair to associate stupidity either with athleticism or beauty in the individual. We had a player here for our local St. Louis Cardinals baseball club who was both an outfielder and graduated college with a degree in aerospace engineering. There are plenty of intelligent athletes and beauty queens and many unintelligent, less athletic, unattractive people. There are a great number of people who fit into all combinations of both groups. It’s not correct to associate or disassociate one attribute with the other. I think this is the root cause of the issue. People are unhappy with Dr. Erica because she is saying it’s fine to want to be attractive. There is an intellectual backlash against putting beauty in front of intelligence in this country and I’m not opposed to that idea but if you want to promote being attractive and intelligent then I see no issue. Not only is there not a problem but it’s a good thing. Life isn’t just about being smart. A brilliant scientist who takes no time for personal hygiene is largely unwelcome in social situation and cannot use that intelligence to its best advantage. Why not encourage young women to pursue the sciences and be attractive at the same time? The argument goes that time spent primping on beauty takes away from schoolwork. I not an expert on primping for beauty but the time I spent playing sports was good for me. My time at the gym working on my physical body helps me mentally. Life is a combination of attributes and we do well to work on many fronts. Would we tell a husband and father to ignore his kids to perfect his work? Time being a good father makes for a better worker. All you girls and boys out there. Play sports, look good, but study in school. It’s not that hard to study and I regret not being a better student myself. I was too concerned with other things and that has limited me. Broaden yourself in every respect. Obsessing your focus on a single topic eventually tends to makes you a strange, unhappy person. And for you adults who want to limit your children to one thing or another, shame on you. Encourage your children in all their endeavors. P.S. While there is an intellectual backlash against putting superficiality over intelligence the reality is our society largely promotes that idea. We worship the beautiful and athletic while ignoring the scientific achievers. That’s wrong and dangerous to society. Perhaps fodder for another blog. There is an interesting little case in the news today that reminds me how important it is that legislators draft well-worded laws. A fellow by the name of Richard Eggers worked for Wells Fargo as a customer service representative. Way back in 1963 he used a fake dime to do some laundry. 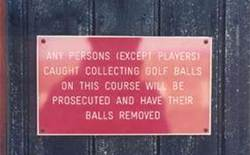 He was sentenced to two-days in jail for this crime and served his time. There is federal legislation in the banking industry that forbids companies to employ anyone convicted of a crime involving dishonesty, breach of trust or money laundering. That’s pretty broad and without an exception for misdemeanors and a statute of limitations it can be used unfairly. One supposes that Mr. Eggers may have been fired for other reasons but let’s ignore that for the moment and focus on how badly worded legislation can easily be abused by aggressive employers and prosecutors. The law is designed to prevent con-artist type people from gaining employment in the banking industry. The thinking being that such people will dupe investors out of large sums of money and shake the faith in the banking business. I’m just not sure that such a blanket law is useful. While it seems to make sense that we don’t want such people at banks I think it runs counter to Libertarian ideals. If a person is competent at their job then they should keep it. If they excel at their job they should be promoted. If a person once committed a crime then that should be taken into account when hiring that person certainly, but to eliminate them from consideration because of previous acts, for which they’ve already been punished, seems unfair. Many of the laws that came out of the financial crisis are intended to ease the minds of the public but do little to actually prevent the activities that led to the problems. Frankly, I’m in disagreement over laws that prevent hiring someone because of previous misdeeds for which they’ve already been punished but that’s really secondary to my main argument. When laws are passed to try to prevent something they need to be carefully worded. In this law there is wording that allows for a waiver if the crime didn’t involve jail time. It seems to me that it could easily be modified to include misdemeanors even if they involved some minimal sentence. I don’t think regulatory laws are all bad nor do I think the people who enacted this law meant for it to be enforced in this fashion. People will always try to twist the exact wording of laws to their own benefit and careful consideration must be made while writing legislation. The problem is that changing badly worded laws becomes quite difficult when getting the law passed in the first place was contentious. As was the case here. There is no easy answer to problems like this. Badly worded laws are dangerous to the freedom of all free people. They will be abused by zealous judges, prosecutors, employers, law enforcement officials, and others to try to bring about an unjust resolution. The recent lie by Congressman Paul Ryan about his marathon time sort of struck me in an unusual way. I’m pretty accustomed to politicians lying about their record, their accomplishments, who they slept or didn’t sleep with, and things of this nature but this ridiculous little lie really bothers me. Certainly President Obama, Mr. Romney, Vice President Biden, and Congressman Ryan have had Fact Checker reveal many of their falsehoods in virtually every speech they give. President Clinton lied about having an affair which I can understand in a way. That’s an important thing when it comes to the wife and family. When running for office the politicians lie about their own records and their opponent’s record on a daily basis in order to sway votes. Certainly deplorable but with a relatively important goal in mind. But, to lie about the time it took you to run a marathon? That seems … egregious. I know several runners and the best time they achieved in races are ingrained in their minds. They know them literally to the second. To lie about a personal accomplishment that has no bearing on anything? I mean, really, what won’t a person who tells that whopper, lie about? Then to lie in such a completely unrealistic way? That seems like self-destruction to me. I want you to know that I’m a liar so I’ll lie really, really badly about something that is easily checked. Either that or he is a compulsive liar. 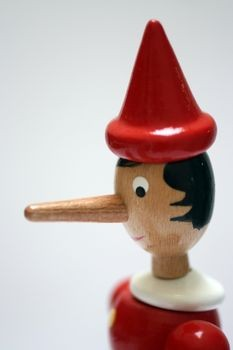 I knew a pathological liar once. He was incapable of telling the truth, he believed his lies when they were easily and demonstrably refutable. He was a strange, strange bird. He lived in a weird sort of fantasy world. I would not vote for him. Frankly, I’d vote for his opponent in any election if he ever chose to run for office. I wasn’t going to vote for Mr. Romney and Congressman Ryan in any case, go Gary Johnson. I just have to say that I wouldn’t want Congressman Ryan as a friend. Someone that lies that easily about something so silly is not a person I’d trust in any situation. There is a great success story in the environmental world taking place in Wyoming and surrounding Idaho, Washington, and Oregon. The reintroduction of wolves to Yellowstone has been so successful that it is now possible to open a hunting season on the species. I’m of the opinion that we should be proud as Americans of our efforts to reintroduce the wolf and allow hunting of the noble beasts. I know that there are many who remain opposed both to the reintroduction of the predator and to opening hunting of it. However, it’s this sort of enlightened compromise that leads to real solutions. 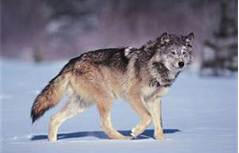 Originally most ranchers were opposed to the reintroduction efforts assuming the wolves would prey upon their cattle. These animals represent a threat to the livelihood of ranchers and their fears were somewhat justified although I think largely mistaken. Wolf depredation of cattle is fairly minimal and with increasingly aggressive control actually reduced in recent years. Let’s not kid ourselves though, wolves do kill cattle and ranchers are entitled to compensation. That being said, the wolves certainly increase tourism dollars to the state and in some ways increase said ranchers revenue. The beauty of a wild wolf pack is undeniable and I hope to someday take a ranch vacation in Wyoming or the region for horseback riding and hopefully wolf spotting. The United States suffers when we let such creatures become extinct. I think it is our duty to protect animals like this even if it means certain compromises. My main thought here is that wolves were given protection, multiplied, and now can be hunted which is a win/win for everyone. Environmentalist win, hunters win, and to some degree even ranchers win when they are fairly compensated for their losses. I wish we could see this spirit of compromise in all our political endeavors. It is obvious to me that the tendency to push through legislation without compromise because one party has sufficient votes is detrimental to our nation. Those of us in the middle would well benefit from compromise with our counterparts on the opposite side of the divide. When we in the middle refuse to compromise we only empower those who hold extreme views. Perhaps we could even forge some real solutions to this nation’s problems.